Love this app! Been using this app for over 2 years now and all the positivity has changed my life for the better. I even share this with friends and it has changed their life as well. I have read the book. I’ve seen the movie and I Love this app. It’s keeping me focused and on track with manifesting what I desire most in my life. 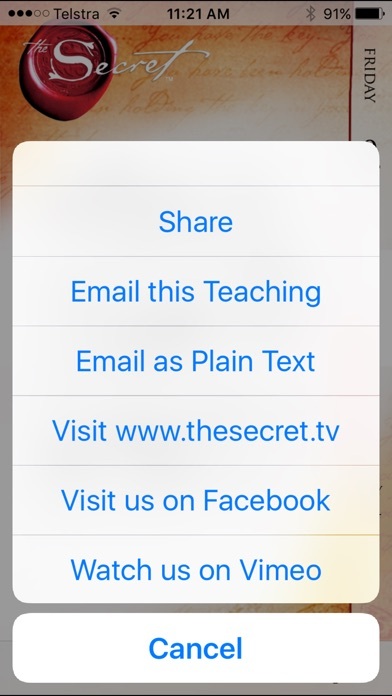 It works it truly works and I cannot wait to get the other app and read the book to, The Secret to Money. I will be getting the app for The Secret to Money app. Not worth the money, I didn’t authorize this app to charge me 4.99/month. I just received an email from Apple and realized that they’ve been charging me for months. I’m not sure who downloaded it or how this app was purchased on my phone/account, but I don’t recommend it. 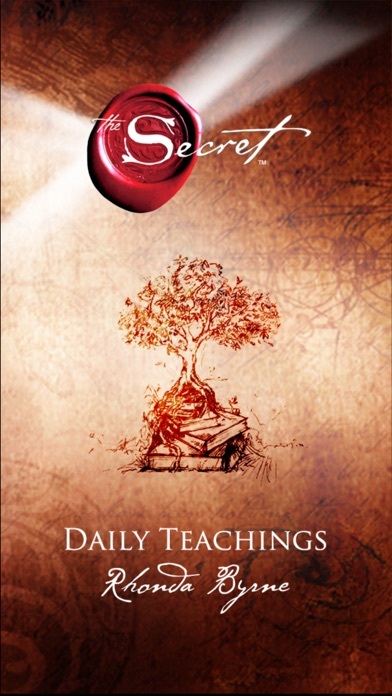 Just buy the book (the secret) and open it to a random page and there you go- a daily teaching. Ok app, not sure if I’d buy it again. Was lost but now FOUND! Lost my way and "my secret" for a while having had a couple of horrid years with no direction and everything I did not want in my life was at my doorstep everyday...it was exhausting. But the love of my wife and her relentless belief in the universes willingness to give all that's believed as received has reopened my eyes and heart to believe and see that there is good in life and seeing yourself as the wonderful person that you are. I'm engaged with reading and absorbing the word and first thing every morning I open and read my daily teaching and thank the universe for given me back - thank you!! The daily messages are great. Nothing like getting a daily dose of positivity! This app is simple and perfectly useful. The app has not been updated for a long time and it does not look high quality. Reading this every morning and applying it to your life is the first step in a bigger healing process. I look forward to it each day. ❤️ this app, it has new insights every day. We could all use these daily reminders in our lives regularly! I see a BIG difference!! Learn and Do. It will change your life! Great tool to help all keep their mind in the proper state. This will keep people thinking positive and receiving positive throughout ones life. I look forward to checking my daily note. Always hits home. I love the positive energy and confidence boost each day. It's always available and easy to use. 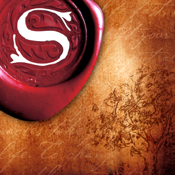 I was introduced to The Secret by one of my employees who has now become a true friend. It has changed my outlook from negative to positive and already has had a true impact on me. Love the daily teachings!! With something as simple and mind blowing as making a choice about what you think about, it astounding how life can change. This app has been wonderful in showing me that a positive life comes from within and effects the external things. Not the other way around. I would definitely recommend this app to anyone who is serious about harnessing their thoughts, taking responsibility for their own lives and changing their futures. Best of luck to all and may good things flow your way!! This app is great. It is visually appealing and the content is motivational. Glad that I bought it. Love this App and the daily reading. This is a great way to get daily, positive encouragement on how to communicate with the universe and I highly recommend it. I am so thankful for this wisdom that is shared to me. For a person who had no guidance in life from my parents this piece of wisdom that has showed up in my life has changed my life tremendously for the better and has made all the difference. Thank you. Everyone can have everything they want with a balance of unwavering belief and unending gratitude. There is enough of everything for everyone. Great app to stay plugged in! I'm grateful for this app. I read it first thing in the morning. I also have the Secret to Money which is amazing as well. It's a good way to have good vibes our way throughout the day! Spiritual intelligence is key to success! Following these teachings have changed my life and put me in the path for success! Love this App!! A simple way of reminding yourself just how Grateful one should be!! Love it! Love that I can get my little pieces and tidbits of The Secret whenever I need a pick me up! App is simple but great to use and always works well and quickly! Gets you motivated and inspired everyday. It's good for the mind and soul. I love the books and the messages are so inspirational. Having a daily reminder keeps me on track. Your thoughts. Your thinking. You are what you EAT! These valuable life lessons can definitely set the tone for ones day. Very powerful, positive in uplifting. A breath of fresh air without all the bells and whistles - just simple and to the point. The mind is a powerful thing. The app is simple and easy to use. I love opening this app every morning and refer back to it throughout the day. It's a great reminder to keep positive and keep working towards your dreams. So great to have them all in the palm of your hand to go back to easily. Just wish they would truly randomize. 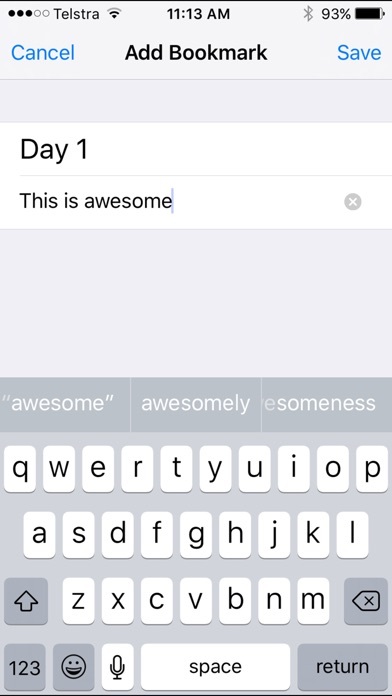 I selected the random time for reminders. Anytime between 9:00 and 5:00. For some reason it "randomly" chooses to send a reminder at 9:01 every single day. I'm a month in now and it comes at 9:01 every day. I really like the idea of it coming when I most need it. Somehow I don't think I especially need it every day at 9:01 am. Please fix this. Otherwise app is totally a 5! It's great to be reminded to switch negative thoughts to positive. The Secret App has it all. Talk about Speaking Into Existence! This app assists with the concept & motivates Positivity. Love. Love! LOVE! Going and prospering with knowledge. Positive messages and motivation to keep going in life. The message I like the most is " have an unbreakable faith"
Each day this app reminds me and inspires me to live to my potential and be thankful for every step along the way. Great app! Reminds me to focus on what I want not what I don't! Can we get a better icon? I like the app. Hate the icon. I look forward to these every day and reread them often throughout the day. They help me internalize the message of loving myself and broadcasting love to all around me. Since getting this app I have a whole new view of money. It's healthier and it has produced money for me in ways that I never thought possible. The daily reminders are exactly what I needed to keep my mind on money. I love this app! 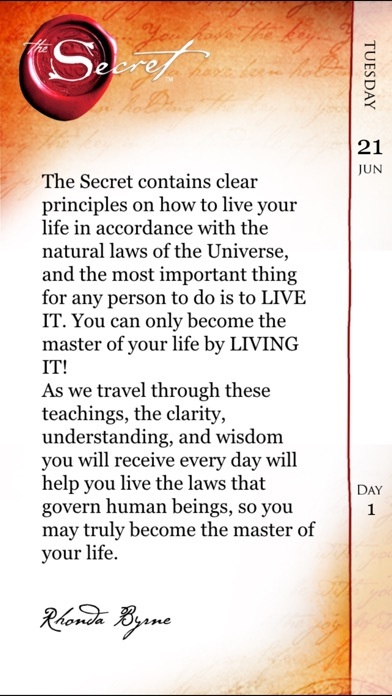 The daily teachings on the Secret app keep me inspired on a daily basis! I am a The Secret follower since 2006 and I simply love it. It changed and keeps changing my life. Having said that, I think the app could be better. It simply gives you daily passages of the book. I choose the option of receiving it randomly but it comes at the same time every day. For a paid app it should be more iterative and offer much more in my view. 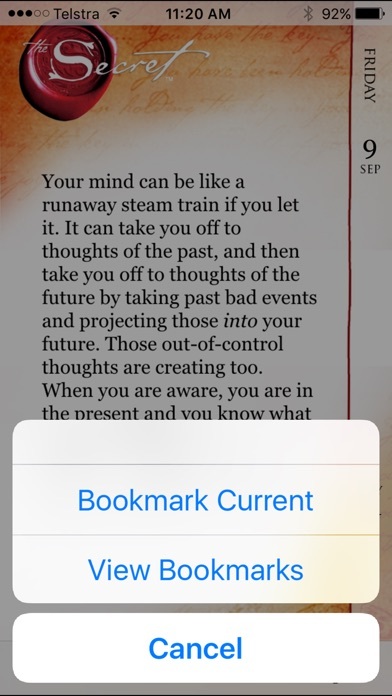 If you randomly open the book every you will get the same result (or even better as you can really have the “random” element delivered). I hope designers could enhance the app to make it match the high standard of The Secret. Right now it is fare from that. I read this book, I put it in my top three! And the app is a bonus. Ms. Rhonda thanks for this wonderful material! Since I first saw the Secret I have decided to listen to it every night to help me get the truth of it deep in my core. The app is there to help me through my day. I meditate on it in the morning and go to it anytime I need to right my way of thinking! I'm so grateful to have found the Secret and the life it had already given me!